Our Joondalup Lawyers provide expert advice and strong representation in all Joondalup legal cases, as well as in surrounding areas. Go to Court Lawyers Joondalup have an office at Level 2/14 Reid Promenade Joondalup WA 6027. 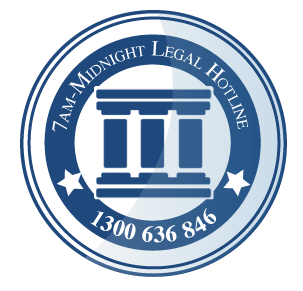 For expert advice and strong representation call Go To Court Lawyers Joondalup on 1300 636 846. Go To Court Lawyers Joondalup can guide you through the family law process, providing you with expert advice, and helping you put your matter behind you with as little fuss as possible. While our family lawyers are experienced in appearing before both the Family Court and the Federal Circuit Court, they work hard to resolve your issues early and without the need for litigation. Go To Court Lawyers Joondalup offers expert assistance in all areas of civil law and can easily guide you through the process and help you to get the best possible result. With experience in every court and tribunal in the area, and high-level negotiation and advocacy skills, our lawyers can be there for you every step of the way. At Go To Court Lawyers Joondalup, we understand what your licence means to you and your family, and know that losing it will likely cause you hardship. We also understand that a charge does not necessarily mean you are guilty. Go To Court Lawyers Joondalup are experts in all things immigration. If you are looking to appeal an immigration decision, we can help you prepare and submit your application for review to the Administrative Appeals Tribunal, or prepare and lodge your submissions for a Ministerial Intervention Request. If you need help with an application for a refugee or student visa, or employer-sponsored migration, from highly complicated matters to the most simple, our lawyers can help. Joondalup Magistrates Court is at number 21 Reid Promenade Joondalup, with the operating hours of 8:30am to 4:30pm Monday to Friday. The nearest intersection is Reid Promenade and Grand Boulevard. If you are using public transport, the Joondalup Railway Station is a one-hour journey from the Perth CBD (Transperth’s Journey Planner website), from there buses run every 30 minutes and bus stop 17834 is across the road from the Joondalup Magistrates Court. With a population of over 150,000 people Joondalup is one Western Australia’s fastest growing metropolitan area.